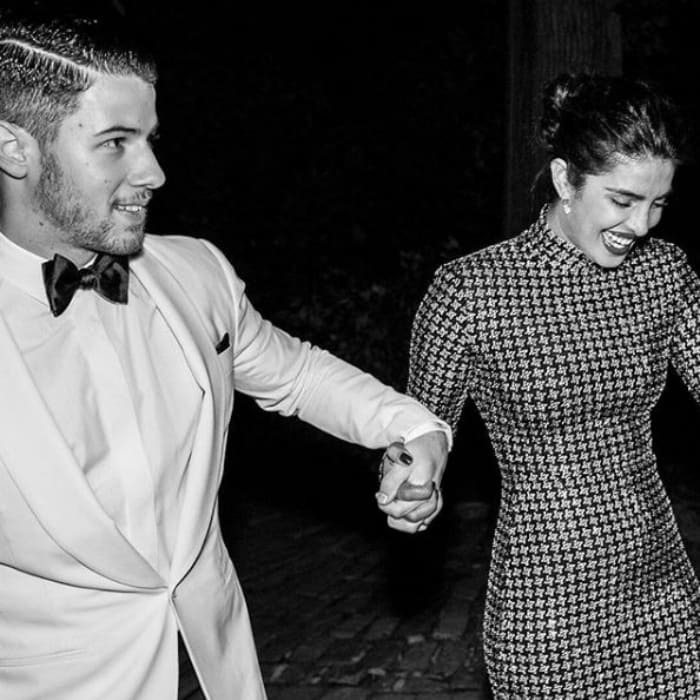 So, Priyanka Chopra and Nick Jonas made a hand-in-hand entry at Ralph Lauren's 50th anniversary celebrations at the New York Fashion Week on Friday. Do we need to add that the pictures are fab? At the fashion gala, Priyanka turned heads as in a crystal-embellished Ralph Lauren ensemble, while Nick looked sharp and suave in a tux from Ralph Lauren's Purple Label collection. The flashbulbs popped incessantly as Priyanka and Nick walked in for the photo-op in Central Park's Bethesda Terrace. OMG, the way he looks at her! If this is not couple goals then what is? Priyanka Chopra just couldn't stop smiling with Nick Jonas by her side! These two!